It may look simple, but the new ‘mi-pad Queenstown’ is loaded with technology and connectivity. 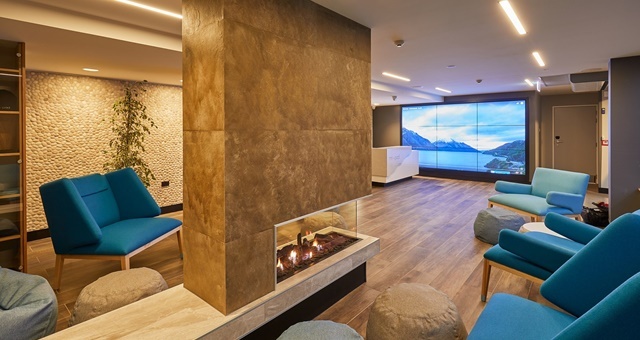 A new energy-conscious hotel that puts technology firmly in control of a guest’s stay has opened in New Zealand – dubbed the country’s first “smart” hotel. 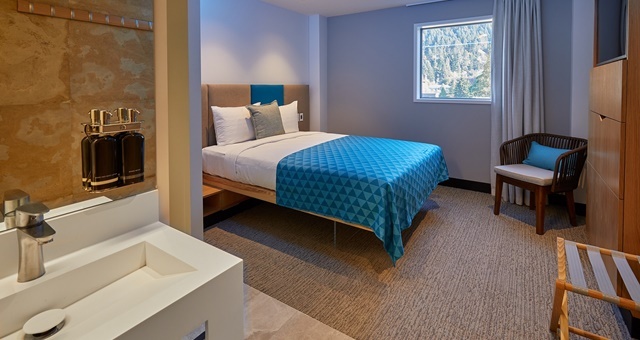 The new six-storey, 57-room ‘mi-pad Queenstown’ in the South Island adventure hotspot is now welcoming guests and claiming to be the “ultimate marriage of technology, sustainability, comfort and convenience”. Unlike traditional hotels, the vast majority of a guest’s stay at mi-pad is managed by a smartphone app even though the property is staffed with humans. Central to the guest’s stay is the “mia” smartphone app, which serves multiple purposes including granting 24/7 access to the hotel and the room as well as interacting with a digital social wall in the lobby and in a private chat group where messages, images or experiences can be shared with fellow guests. The social wall also displays messages from the app and the hotel which may impact a guest’s stay including any closures, renovations or repairs which may be occurring at the time. Once inside the room, the app takes over the controls and allows you to adjust the temperature and lighting levels, request room service and also put up a digital ‘Do Not Disturb’ sign on the front door. The app also takes on the duties of a concierge, informing guests of local activities, event information and special offers that can be enjoyed during a stay. A floor-to-ceiling social wall is hungry for guests to share their local experiences with others. Mi-pad Queenstown is a product of a joint venture between Queenstown property developer Lewis Gdanitz and hotel development firm TJK NZ Ltd, which also owns Christchurch’s The George and Regent of Rotorua. The $15 million property was designed by John Blair and is situated close to Queenstown’s main street and nearby Lake Wakatipu. “Mi-pad is the result of 15 years of research, travelling the world and finding the places that did accommodation really well,” Gdanitz said. Aside from the technology, the rooms each offer a Queen bed, Smart television and organic bathroom products. F&B options are available but minimal as guests are encouraged to delve into the town’s offerings rather than eat at the hotel. Guests also have access to a rooftop terrace lounge complete with fireplace, seating and panoramic views of the lake and mountain range.